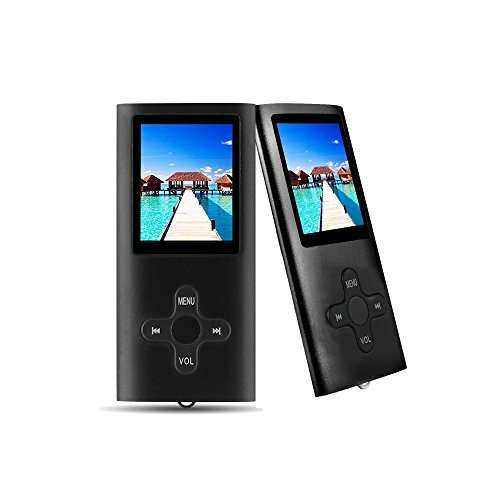 The RHDTShop MP3 player is an easy-to-use MP3 player that is compact and lightweight. 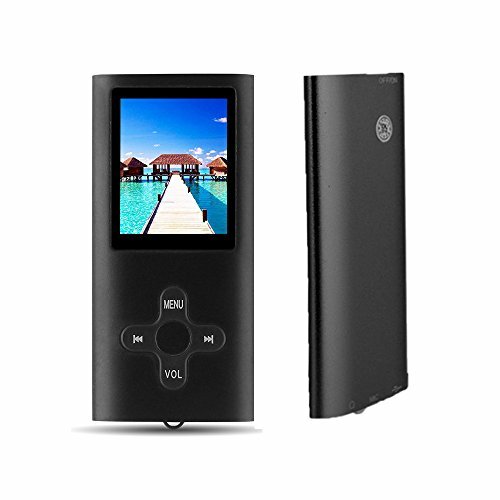 It is ideal for elderly music lovers who want a reliable and quality MP3 player, but who don’t want to spend a fortune. The buttons are an ok size and have a tactile feel to them. The print on the buttons is easier to read on the colored models – the buttons are white with black print. The screen size is 1.7″ which is one of the smaller sizes I reviewed. 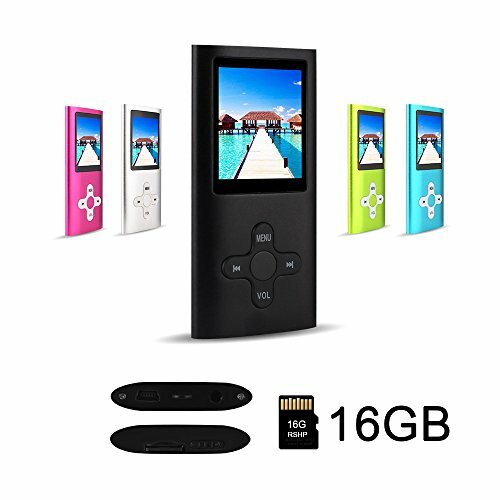 This MP3 player has internal storage of 16GB, and users can expand that by adding a TF card to enjoy up to an additional 32GB. 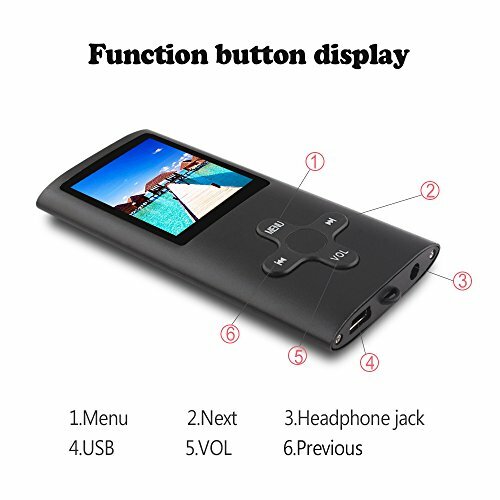 This MP3 player also doubles as an FM radio and a voice recorder, so it’s ideal for senior citizens who want to record their shopping lists or ‘to-do’ lists on the go. Another useful thing about this player is that it has support for variable speed playback. That can be handy for those who want to listen to learning materials or learn a foreign language. 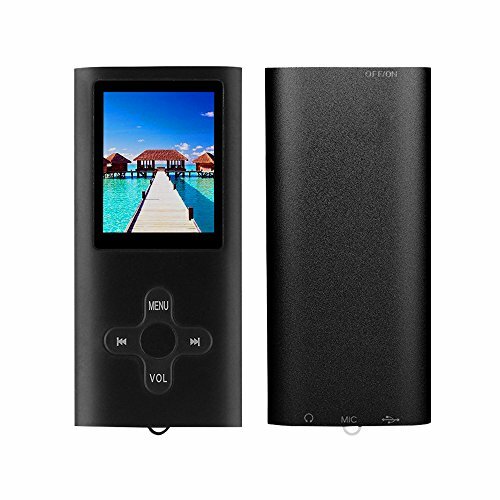 The player is slim and light, however the battery life is just 3-4 hours, which is less than many other models available at this price point. The size and convenience, and the support for multiple file formats, may be enough to make the player appealing in spite of the shorter battery life, especially for those who only wish to use the player for short journeys or while they are out for a walk at the park. 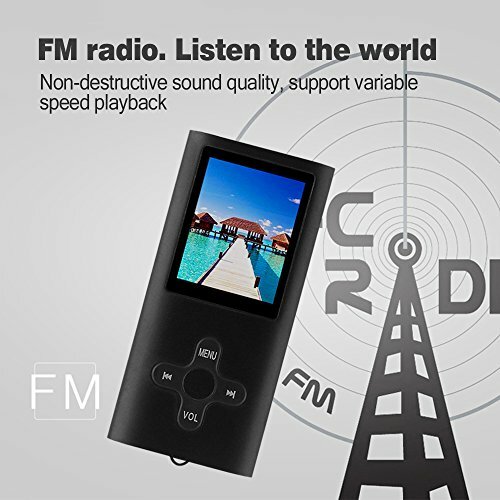 A basic and simple MP3 player for occasional users. 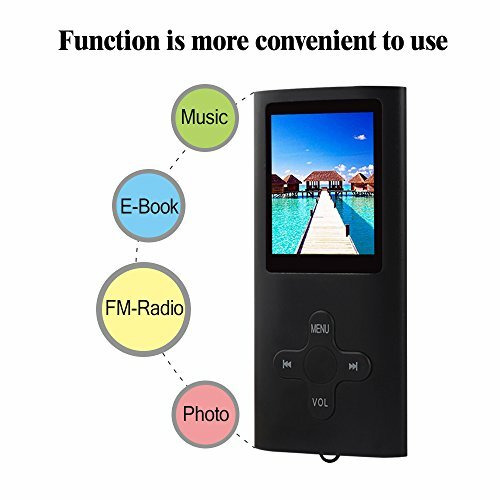 The screen and buttons are smaller than others but it is an easy to use model.